Call us for services you can trust, afford, and depend on. Not only are we the service provider you can count on but also an expert manufacturer of gutters of all shapes, sizes, and materials for your own convenience. Feel free to call our company for commercial gutter installation. 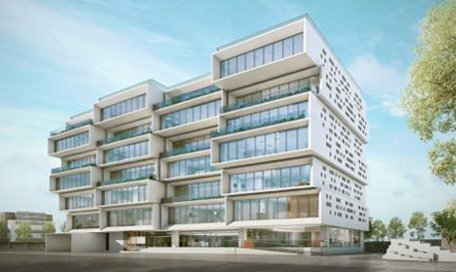 We provide solutions for all properties. 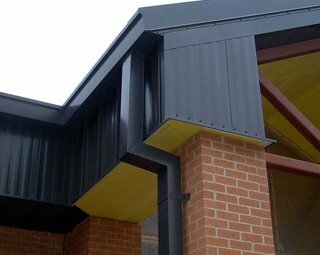 We are the company to turn to for the proper installation of commercial gutters. Houston gutters are quickly cleaned, thoroughly repaired, and properly installed by our company. Protect your property from rainwater overflow by trusting the best gutter experts to provide service. We serve commercial and residential customers in Houston and the surrounding areas in Texas and can assure you that all services are performed by licensed, qualified, and experienced professionals. When you need gutters Houston service, simply dial our number and let our company be of assistance. Every single problem with your gutters is one problem too many. And so our company is available for any gutter service. 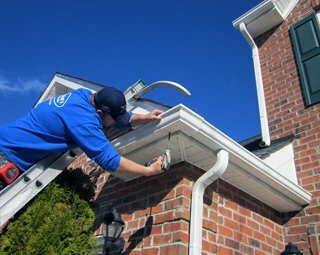 Call us if you want experts to install, repair, or clean gutters at your property. Clogged gutters will create as many problems as damaged ones. And so all services are of great value when it comes to gutters. Rest assured that all jobs are done at the earliest time of your convenience, with the right tools, and by expert and highly trained pros. Whether you need to clean, install, or fix commercial or residential gutters, we are at your service. Contact us. When gutters become too damaged to be fixed, call us. 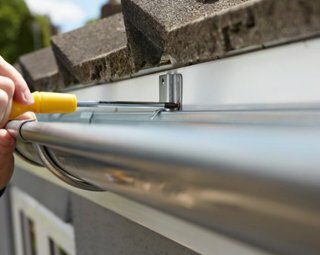 With expertise in gutter installation, we ensure the quality of the job. Is it urgent to replace the gutters as soon as possible? No worries. Call us now to make an appointment. The installation of your new gutters in Houston is done with accuracy and respect to your property. 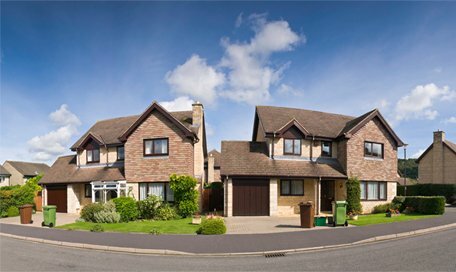 Let us help you save thousands of dollars in property damage with our services. Get in touch with the Gutters Houston experts for service you can depend on. Damaged gutters can cause considerable problems to your property. 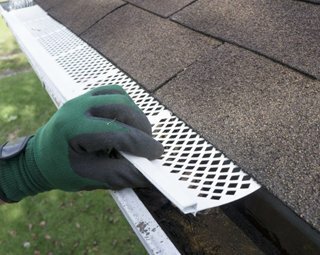 The sooner you call us for gutter repair the better. Gutters become damaged for all sorts of reasons. They might get ruined when tree branches fall on them with force or due to ice buildup. And your headaches will soon get worse if the gutters are not fixed fast since water will leak causing property damage. Avoid that by simply calling our company as soon as you realize there is a problem. We address big or small problems with residential and commercial gutters in Houston in a timely fashion. It’s normal for gutters to get clogged. But this is bad news for you and the reason why you need gutter cleaning. Tree branches, debris, and leaves are accumulated in the gutters clogging them and thus preventing water from pouring through the downspouts. This can be a major problem since it leads to water backup and possible indoor leakage. 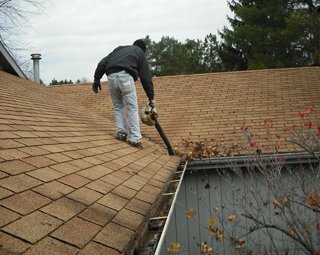 It’s always best to turn to us once after the fall and once when the winter is over to have the gutters cleaned and thus gain peace of mind. 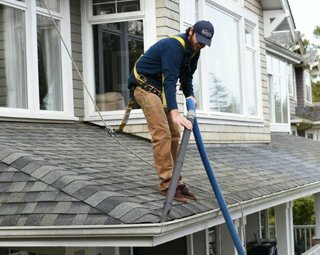 We are here for you whenever you need expert professionals for the installation, repair, or cleaning of residential gutters in Houston and all areas around the city in Texas. Let our company keep your precious home free of water damage and thus save you thousands of dollars in expenses on home repairs. Are you looking for an experienced company to clean commercial gutters in Houston, Texas? Do you want new gutters for your business? From fixing problems with the existing gutters to cleaning gutters and installing new ones, our company can help all commercial properties in and around Houston.